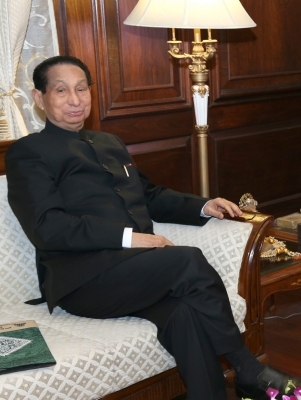 Dimapur Sep 15 (IANS) Former Nagaland Chief Minister S.C. Jamir on Saturday asked the Modi-led government to make public the full contents of the framework agreement signed with the National Socialist Council of Nagalim Isak-Muivah (NSCN-IM). On August 3 2015 the central government and the NSCN-IM signed the framework agreement. But neither side released its details. The separatist group has been in talks with the government since 1997 after the signing of a ceasefire agreement. "It is expected that whatever agreement is drawn up would be in the best interest of the Nagas " Jamir a Naga political stalwart said. Exhorting the central government to hammer out an honourable solution to the Naga insurgency problem without any further delay the former Odhisa governor appealed to various Naga ethnic tribes to unite and recognise the "contemporary political reality". Jamir called for an end to what he called "political polemics". Voicing optimism about a new political environment the Nehruvian leader said "The people of Nagaland can embark again on a well-ordered and progressive administration to promote rapid economic development of the state in order to catch up with the rest of India." But he said this would require renewed determination dedication and commitment for the people of Nagaland. However he said: "Let the final political settlement be made first." "Sadly that has not happened due to political instability rank misgovernance and rampant corruption indulged in by those in power " he stated.